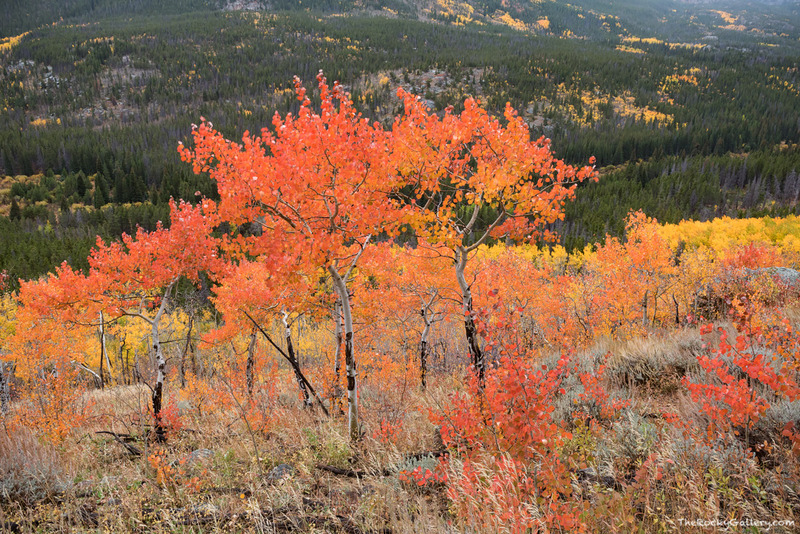 Every fall in Rocky Mountain National Park the hillsides come alive with color as the foilage changes from its summer greens to the yellow, reds and oranges of fall. Each year in RMNP the display is different and some groves of aspen trees will dawn vibrant and stand out amongst the rest. This grove of aspen trees high on the Bierstadt Moraine turned a beautiful orange hue as the stood above equally beautiful groves of yellow and golden aspen trees. Photo © copyright by Thomas Mangan.